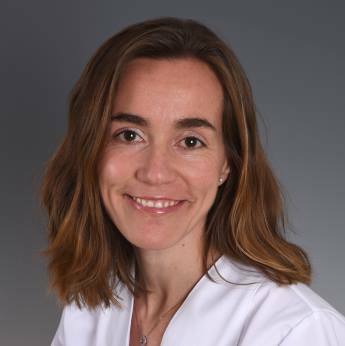 I have worked as an attending physician at the Emergency Department of the SJD Barcelona Children's Hospital since I completed my residency in 2005. I undertake part of my work in the teaching department, designing simulation-based training activities to strengthen the communication skills of the professionals. I believe truth stays in the details. Instructor in Neonatal and Paediatric Cardiopulmonary Resuscitation, 2012. PhD in Medicine. University of Barcelona, 2009. Degree in Paediatrics. University of Barcelona, 2005. Bachelor's degree in Medicine. University of Barcelona, 2000. Placement at the Emergency Department of Cincinnati Children's Hospital Medical Center (United States), May 2005. Coordinator of the Catalan Paediatrics Society working group on "Sudden Death", since 2014. Coordinator of the Spanish Society of Paediatric Emergencies working group on "Respiratory Diseases", since 2010. Researcher in the Paediatric Infectious Diseases Area, 2009 - 2013. Coordinator of the working group for "Clinical Practice Guidelines on Bronchiolitis", 2007 - 2010. Researcher in the "European Paediatric Hepatitis C Virus Infection Network" group, 2005. Vice-president of the Teaching Committee, since 2014. Associate medical lecturer on the degree in Medicine. University of Barcelona, since 2014.